Who’s the dirty man of Europe? A report from the European Commission has looked at all EU member states and released an "early warning" to the 14 countries considered at greatest risk of missing the EU’s 2020 recycling target for municipal waste. 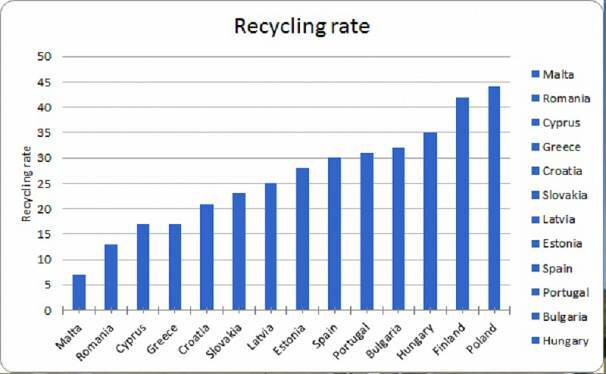 The four worst recyclers are Malta, Romania, Greece, and Cyprus. In 2016, all four recycled less than 20% of their total waste. With the EU’s 2020 recycling target set at 50% of total waste, these four countries and their 10 counterparts have some catching up to do. None currently reaches the target, but the situation is more dire in some places than others. Malta is the worst recycler: its recycling rate is at a bare 7%, with a remarkable 83% of its waste going straight to landfills. The country manages to combine the lowest recycling rate of the lot with the highest landfilling rate. It wins the “dirtiest man of Europe” crown on waste recycling, by a large margin. Just behind Malta is Romania (recycling 13% of its waste, landfilling 69%), Greece (recycling 17% and landfilling as much as Malta at 83%) and Cyprus (recycling 17% for 75% going to landfills). 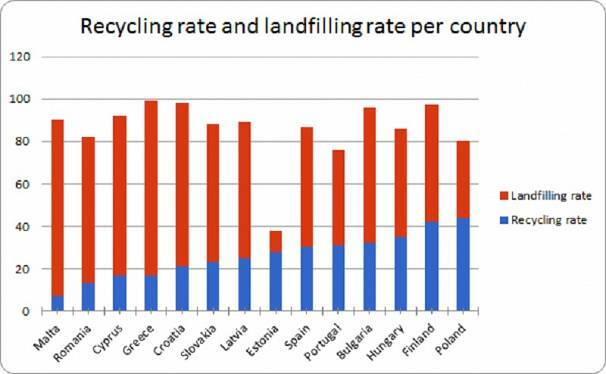 Estonia, although not great on recycling (it’s at 28%), has the astonishingly low landfilling rate of 10% - but it is still far from reaching the EU target as it incinerates a lot more than it recycles. In 2013 and 2014, it incinerated the majority of its waste. On the other hand, Poland is the “best” of Europe’s bad recyclers: it recycles 44% of its rubbish and “only” 36% goes to landfills. This recycling rate is just 6% off from the EU’s 50% target, with the lowest landfilling rate of the 14 countries. Finland, which recycles 42% of its waste, is also not far off. Romania, Greece, and Cyprus are also in trouble. 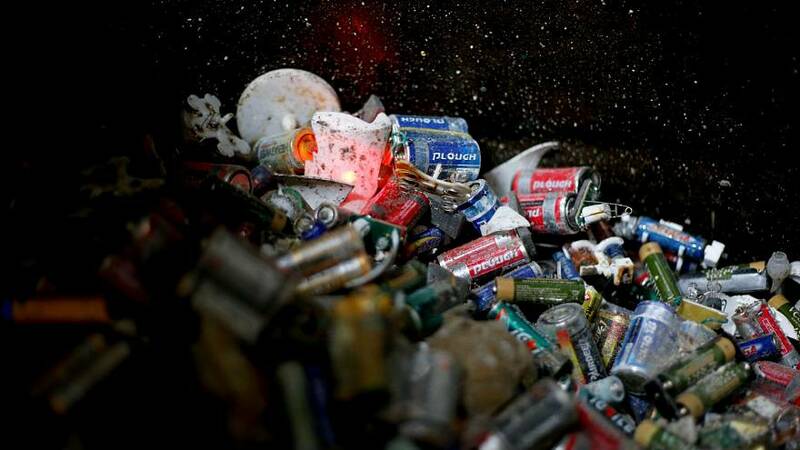 “None of these countries are set to hit the EU recycling targets for 2020 as they currently stand,” Gibbs says.